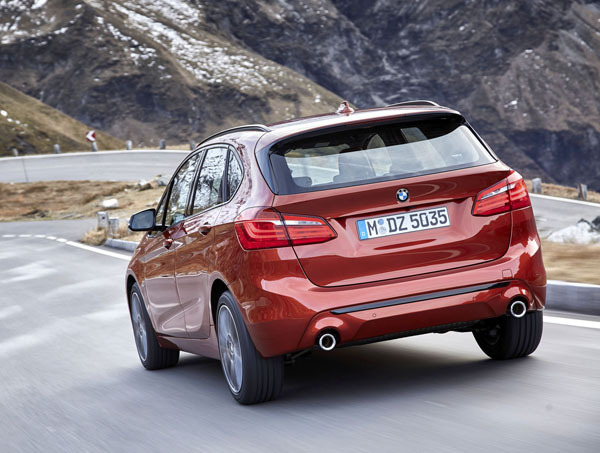 BMW 2 Series Active Tourer has been given a freshen-up front and rear together with new-design alloy wheels. An interior upgrade includes Dakota leather trim. A range of five interior trims are available, with Fine-wood trim ‘Fineline’ Stream standard on Luxury Line. M Sport-optioned vehicles feature Aluminium Hexagon trim for additional sports feel. The Dakota leather trim is offered in four colours. A new 6.5-inch colour touchscreen gives access to the infotainment system. That’s rather small to our way of thinking so an 8.8-inch touchscreen is an option. Perhaps it should be standard, but we will leave that up to the BMW product planners in Australia. Mechanically, a new seven-speed dual-clutch automatic transmission has been introduced to further sharpen the already good responsiveness of the little Bimmer. The new auto sits beside the well regarded BMW 2.0-litre turbo-petrol four-cylinder engine with 141kW and 280Nm. Drive is to the front wheels. 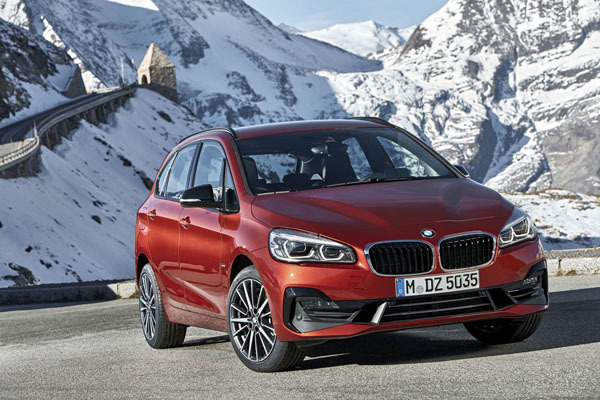 The updated BMW 2 Tourer is coming Downunder in the 220i Luxury Line format and is priced from $49,500, to which on-road dealer and government costs have to be added. It is offered with the option of an M Sport Package as well as a Comfort package. See your local dealer or click on bmw.com.au for full details.